The greatest leap for an actor is not nailing it in comfort zone, but just come out breaking own image. Well, it might sound to be an easy affair as citations, but just imagine the mental stability they must possess to make it happen. 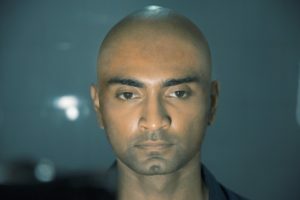 Such happens to be an impeccable illustration of actor Atharvaa, who has left everyone frozen in complete astonishment with his head tonsured for ‘Boomerang’. “The entire industry knows about Atharvaa being a director’s actor. But that didn’t let me open up my request on tonsuring his head. How fair it would be to ask an actor whose calendar is laden with back to back projects? Eventually, as I explained him the depth and intensity of three different looks, Atharvaa became more adhered to it. In fact, even when I was filled up with some reluctance, he just gave a staunch surprise of instantly going for it,” opens up filmmaker Kannan. Furthermore the ‘Boomerang’ filmmaker adds that one among these looks have been designed by Preetisheel Singh and Mark Troy D’Souza. “As, I have already spoken about it, Atharvaa had to spend hours and hours for this prosthetic makeup process. Having going through such a wringing process, any actor would love to just sprawl out and relax, but he instantly leaped up to tonsure his head for a specific episode in the film. 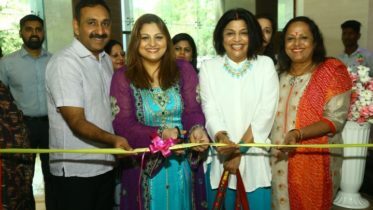 We decided to shoot this portion by the final schedule, which happened for 5 days at a private hospital in Chennai. But the greatest part is Atharvaa sacrificing two months of busy phase waiting for his hair to grow so that he could resume other projects. But I am sure; audience will offer him the best credits for unleashing such high potentials as an actor after his recent attempt with Imaikkaa Nodigal,” tots up Kannan. Boomerang is directed and produced by Kannan for Masala Pix featuring Megha Akash, Induja, Upen Patel, Suhasini Maniratnam, RJ Balaji, Satish and many more familiar actors in the star-cast. Radan of Arjun Reddy fame has composed music for this film with Prasanna Kumar as the cinematographer and Selva RK on editing.